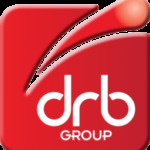 DRB Group is a trusted partner to the automotive industry. Have you considered reducing manual operations to eliminate deficiencies and improve safety? For more than 40 years, automotive and heavy plant manufactures have trusted DRB to support their maintenance, project and operational teams to keep their critical plant running efficiently. DRB supports multiple automotive and heavy plant manufactures to design innovative equipment to help bring them to the forefront of engineering excellence. From access platforms to improve employee safety, to multi-stage jigs and fixtures to improve scalability, DRB will support your needs. If your existing plant could benefit from refurbishment or re-engineering to increase throughput, DRB is experienced in reverse-engineering discontinued components and adapting existing setups.